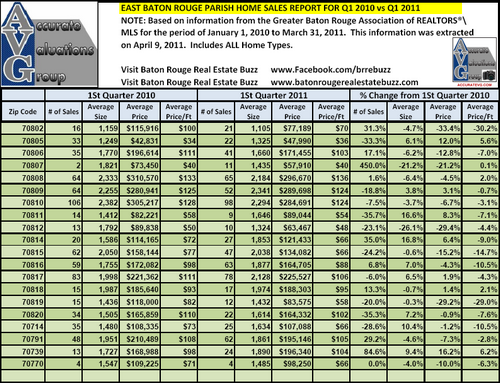 http://www.batonrougerealestateappraisers.net/ – East Baton Rouge Parish Quarterly Sales By Zip Code Q1 2010 versus Q1 2011 Report. Report shows an increase in number of home sales over 2010, but significant declines in Average Sales Prices overall. Report includes ALL housing types in East Baton Rouge Parish. 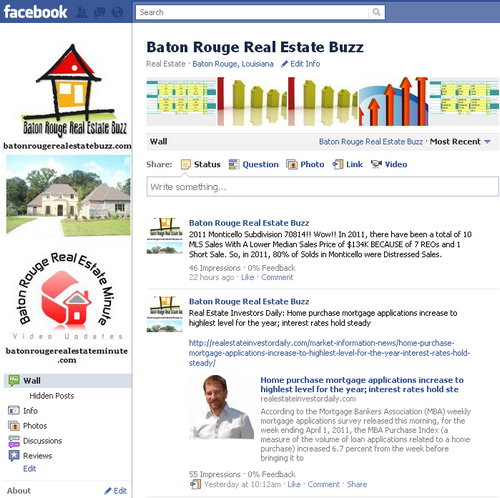 Accurate Valuations Group (Home Appraisals) has completed an analysis of the East Baton Rouge Parish housing market from First Quarter 2010 versus First Quarter 2011. The results are below. Click the chart to view in a larger size. 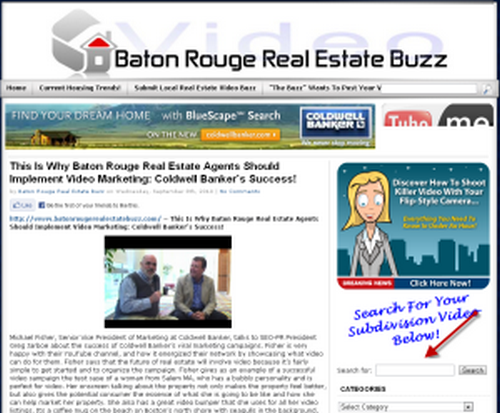 Number of Home Sales Increased Over 2010! For the number of home sales, only 9 zip codes reported a smaller number of sales. And, Ten (10) Zip Codes experienced more sales in Q1 2011 than in Q1 2010, which is great news for our market. Average Sales Prices Overall Decline! 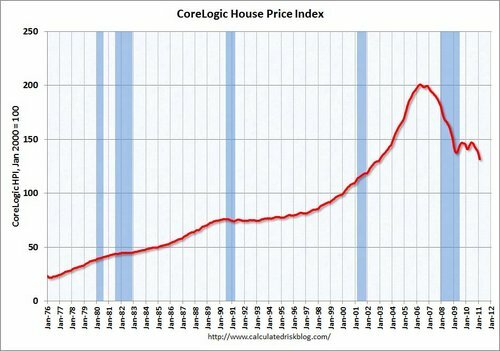 This is consistent with the CoreLogic report on national home prices falling for the 7th straight month, as reported on Thursday, April 7, 2011. Thirteen (13) of the 20 Zip Codes showed declining average sales prices versus only Seven (7) showing increases. Local home prices are continuing to correct. Average Sales Price Per Square Foot Overall Declines! This is consistent with the CoreLogic report. Fifteen (15) of the 20 Zip Codes showed declining average sales prices per sq. ft. versus only Seven (5) showing either no change or just slight increases. Biggest Gainers. Zip Code 70807, the Scotlandville market, showed a 450% increase in number of home sales. Zip Code 70739, the Central or Greenwell Springs market, showed a +16.2% increase in Average Sales Prices AND +5.6% in Average Sales Price Per Sq. Ft.. Central is a “hot” market viewed by locals as having a favorable school district. Largest Declines. Zip Code 70820, the market below LSU off Brightside, showed a -35.3% decrease in number of home sales. Zip Code 70802, the market in and around Central Business District, showed a -33.4% decline in Average Sales Prices AND -30.2% decline in Average Sales Price Per Sq. Ft..